There is in the church of Rennes-le-Chateau, there you’ll find a message, a message that Bérenger Saunière bought to our attention by his own work, since he is the author, says one of paintings that decorate the church. The reader will understand that we wish to speak about the representation of Marie-Madeleine placed on the front of the altar, in the axis of the central passageway of the Church. Roses are growing on this wooden cross. 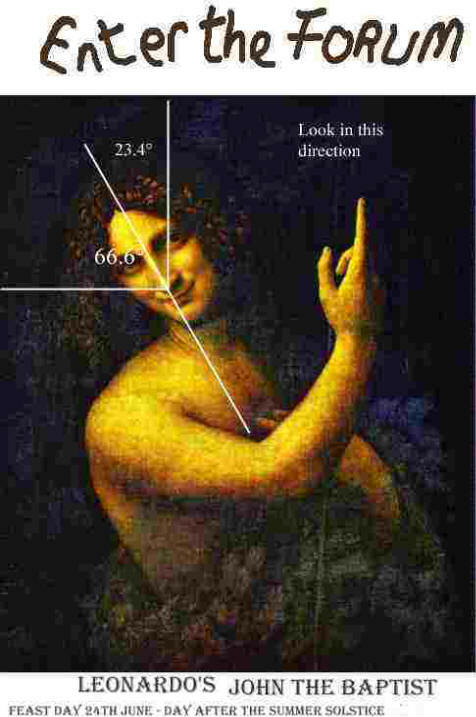 The crossing of her fingers is most unusual. The crossing of fingers a gesture also copied by Jean Cocteau. NOIS with the rough drawing of the Rose Croix Veritas. 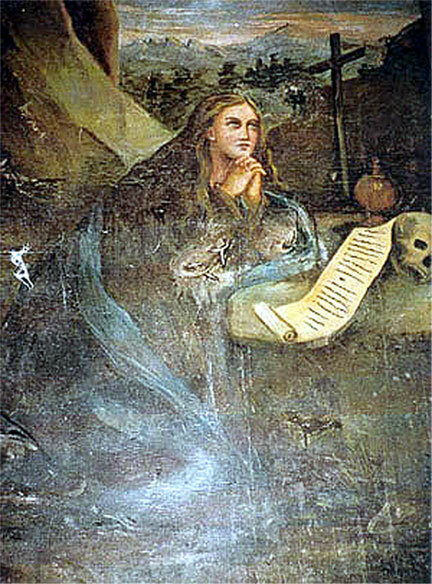 Green Heart emanating from the mouth of The Magdalene as the legend says. It is a representation treated in low relief; Marie Madeleine is knelt, crossed hands, at the foot of a rustic cross, composed of two green heart branches, almost branchless, bound by a knot of leather. A dark cave is used as a framework for this scene. It acts as a traditional representation of the holy cross. The cave is that where she finished her days, if one believes the legend of Sainte-Baume. Green heart cross pruned roughly, human skull, vase, and open pages. mASSIF DU PILAT WITH THE tROIS DENTS AT THE TOP. Before dealing with the message hidden in the altar, it is necessary for us to try to put to us in the world of Bérenger Saunière at the time of the revealing of his "Secret": the zeitgeist that he was living in during the end of the 19th century, and where they led him. We know that he did not remain in Rennes-the-Castle but travelled extensively. We know for instance that spent time in the mountainous area of the Massif Centrale - and the area of the Mount Pilat. This area constitutes the north-eastern point of the chain of the Cevennes; it is bordered by the rivers Rhone in the east, and Gier in north, reaching a height of 1434m. At the time of the Romans it was a natural border and geographical, limit between three provinces: Aquitaine, Lugdunaise, and the Narbonnese. It is also a crossroads where several influences coincided, particularly in languages spoken (a cross between the languages of Oc, Oil, and Franco-Provençal). Also differences in worship and architecture. Pilat has multiple traces of its past, from megalithic times, into the Middle Ages which saw it occupied by the strong castles of the noble families or by the monasteries of the religious orders. Pilat which had particularly moved back valleys saw one they to be used as framework with the establishment of chartreuse, Holy-Cross-in-Jarez, . And then it should not be forgotten that the Tradition explains why the origin of the word Pilat comes owing to the fact that Pontius Pilate, full of remorse was confined in nearby Vienna. According to tradition he sort "Sort forgiveness" in the Massif of Pila. Why particularly in this place? For one thing he would have committed suicide in the pit of the source of Gier. Or he would have found "atonements" and would have carried on its way until Pilat... in Switzerland! 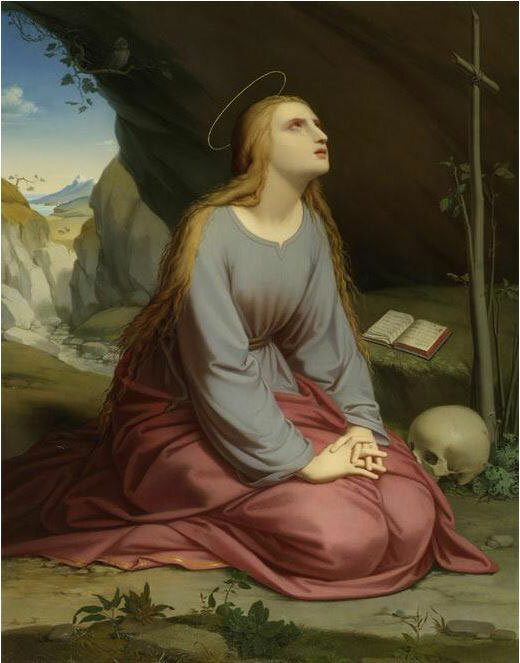 The first assumption: of the "Secret of Rennes-le-Chateau" must be related to Marie-Madeleine and Bérenger Saunière may have discovered her last refuge. Saunière inevitably knew the life of the saints and their places of their pilgrimage. He knew that the relics of Saint Marie-Madeleine were venerated in Burgundy in the abbey of Vézelay. 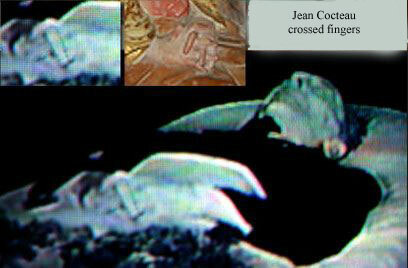 Saunière could hope to find other pieces of the "Secret" while following the trace of the count Girard of Roussillon. 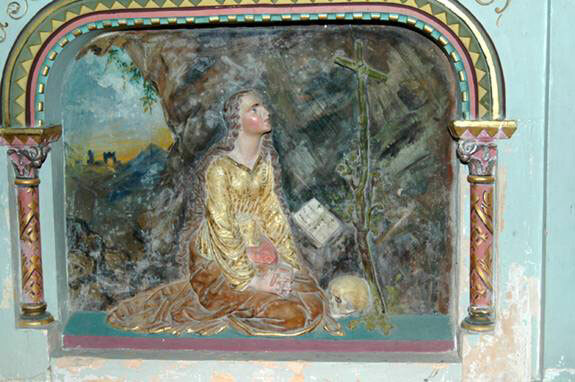 It is assumed that it was this character who installed the relics "of a" Marie-Madeleine in Vézelay, who could not have come from Sainte-Baume but rather as a refugee from the Corbières. Who was Girard of Roussillon? Count de Barcelona, Narbonne, Gascoigne, Auvergne, Provence and then of Burgundy, he originated in the Languedoc and his exploits of valor made of them the hero of several "Chansons de Geste". All the place names "Roussillon" derive not from a geographical or geological characteristic "russet-red", but from a name of man or family. The province of Roussillon owes its name at the ruined city of Ruscino, which itself derive from the name of its Roussillon founders, or Russéolus, deformation of the primitive name Urséolus or Ursus (Latin bear). Ursus, last name in the genealogy Mérovingienne. The family of Roussillon said "girl of the moon", just like Mérovingiens claimed itself "wire of the stars"... But let us not forget that the lunar goddess Artémis, often accompanied by a bear, merges with Marie-Madeleine who lived "like a bear" in a cave indicated by a star. 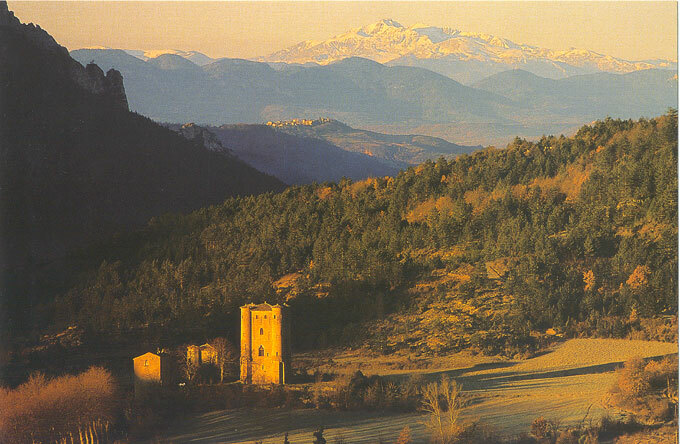 While extrapolating, "girl of the moon" could become "girl of Marie-Madeleine"
In the 11th century Roussillon reappears on their land in Pilat. Note: they maintain the worship Marie-Madeleine and a Sainte-Madeleine vault which belonged to their stronghold of Châteauneuf, close to banks of the Gier, had the relics of Saint Lazare (Lazarus), the brother of Marie-Madeleine who was raised from the dead by Jesus, and who would have also landed at the same time as Marie-Madeleine did. By a strange coincidence the relics also arrive in Pilat at the same time they did? In the 13th century, Guillaume descendant of Roussillon dies in the crusades. He bequeaths to his widow Béatrix the manor of Châteauneuf. She lives a life of prayer: in a dream one night she sees a cross of light surrounded by stars. It is the beginning of a marvelous account. The next morning Béatrix leaves by horse and follows it through the mountain. The vision appears again, but really: a cross surrounded by stars, of which one larger and more brilliant. Guided like Marie-Madeleine by this star, Béatrix of Roussillon arrives in a place where it will found Chartreuse of Holy-Cross-in-Jarez. She obtains the privilege to finish her days there, cloistered in a small apartment contiguous to chartreuse, and communicating with this one only by one narrow archère only enabling her to hear, without seeing them, the religious offices. Just like Marie-Madeleine, only saw and carries out a life of hermit. Several times per day of the angels charmed Marie-Madeleine and made her hear a celestial concert in the same way several times per Béatrix day can hear the song of the fathers’ Carthusian monk, at the time of the many daily offices! The comparison, disconcerting, reveals the worship that Béatrix had to the Madeleine. This crude drawing surrounded by the word NOIS the 'Green Heart' cross featured in the frieze under the altar. The legend of the 'Green Heart' is purely a French story, it stems from the legend of Madeleine's sarcophagus found in her supposed crypt at Saint-Maximin-la-Sainte-Baume. Bernardo Gui, Dominican grand inquisitor and ruthless slaughterer of the Cathars, found a sweet spicy fragrance coming from a tomb and on inspection found the remains of a woman with a Green Shoot emanating from her tongue. This unlikely tale is rich in allegorical significance. Was Gui led there by a Cathar under torture? Is this woman indeed 'The Daughter of Zion', the tower of the Flock (Migdal-Eder) as described by the Prophet Micah? One is reminded of the Abbey de Notre Dame du Mont de Sion described as the 'Mother of All Churches': who is the Notre Dame (Our Lady) here? Well some people say that this Abbey was occupied by a chapter of Augustine monks that had assumed the title of 'Sainte-Marie du Mont Syon et du Sainte-Esprit; Holy Mary of Sion and of the Holy Spirit. Since when has the Blessed Virgin been known as Holy Mary of Sion? This can only be referring to one person. In 1896 Saunière restores its church and places two representations of Madeleine there, with the same green heart cross. Chance? But he also places at the entry of the church two Latin phrases ` in hoc signo vinces "(by this sign you will overcome) and" lumen in coelo "(lighten the sky. The first applies to the emperor Constantine, who saw appearing a luminous cross, the second with the pope Leon XIII, whose blazon is decorated of a star. Or is it an allusion to the vision of Béatrix of Roussillon? Did Guillaume of Roussillon leave you it with the guard of his wife of the "elements" concerning Marie-Madeleine? Did this one bequeath such this "deposit" to the Carthusian monks of Sainte-Croix, which would have announced it by curious details in the murals? He was a native of Velay, but he disappears mysteriously at the time of a cure in the sector of Ballaruc... close to Montpellier. Has was a Royal and religious Scholar and the author of many works, Polycarpe undertakes in Sainte-Croix of vast amount of work and puts, it seems, up to date a deposit more spiritual than material. He is then named prior of chartreuse of Bordeaux, then of Bompas in Provence close to Avignon. It is there that he begins the drafting of a vast work on the history of the Church in the area of Avignon, including/understanding the diocese of Aix-en-Provence on which... Sainte-Baume depends. This work is later prohibited by the Vatican... Does Dom Polycarpe have particular sources of information on Marie-Madeleine? It is known that he wrote a formidable book on Marie Madeleine and the seven door frames of Ephèse. He specifies that this work contains new information on the end of Marie-Madeleine like on other aspects of this worship and its derivatives. This writing is practically untraceable today... except in a private collection of the area of Roussillon... It is still Polycarpe which ensured that Avignon had been rested by Saint Ruf, first bishop of Tortosa (Spain). However this bishop actually named himself... Ursus! The letter "S" was written formerly way almost identical to the letter "F", RUF could mean RUS. Is this a "pun" of Polycarpe that means the passage of URSUS with RUS... first syllable of Russeolus or Ruscino? 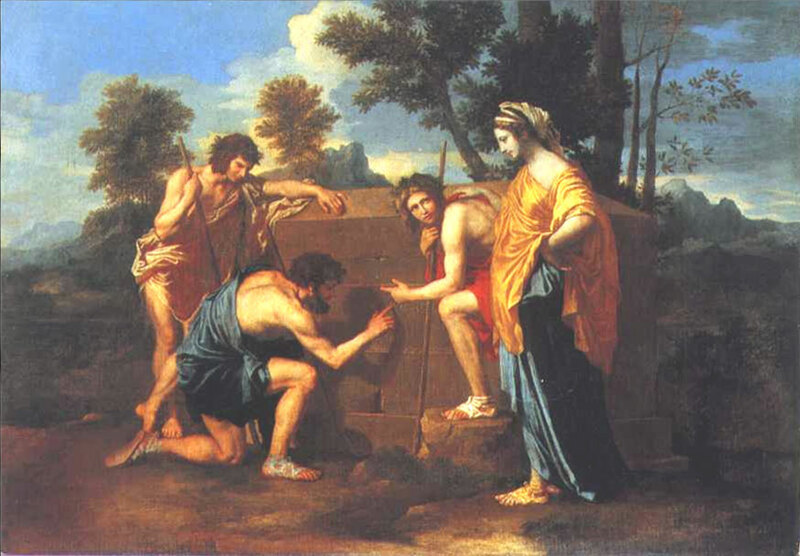 The company of the angels Polycarpe de la Rivière probably belonged (two writings remain in his files) to the "Company of the Angels" or "Company Angelica", to which Nicolas Poussin was also affiliated. Two centuries later, one finds this company makes some business in Rennes-le-Chateau! One knows as sure source as Polycarpe corresponded with a Gouliarde brotherhood, therefore it could only be accustomed to handle the "Language of the Birds"... said "of the initiates"! Second assumption: the "secrecy" is related to the genealogy of Mérovingiens (the two theories are not incompatible besides). The problem of famous the "third parchment" is still not solved, and will be it surely never: all is false, or Berenger Saunière he truthfully discovered a genealogy Mérovingienne, but different from the "romantic" genealogy? If we evoke the charter of Aaon, which recognized a Mérovingienne origin, with several families then among this was the family LUPPE which claimed, documents with the support, being of the blood of Mérové himself. Let us note this remark in aside: The Church knows a Ours saint and a saint Loup, this last succeeding the first diocese of Troyes. If the Loup first name is always à.la.mode - one several Jean-Wolf nobody knows anyone called Ours! If Berenger Saunière were interested in the descent of Mérovingiens, he did not fail to seek these "Luppé". The other family (Montesquiou, Gallard, Comminges, Gramont) are known and indexed in "the armorial of the principal houses of the kingdom", it is not the same for Luppé. However there are only two bearing this name to France: Lupé in Gers, and Lupé... in Pilat! And the castle of this village was the residence of a family of the same name... (in Luppé the doubling of P is only one " alternative" of Lupé). Let us leave Pélussin now and follow the path. After having passed "Pierre of Dead" we arrive at the hamlet of Champailler. Here time seems to have stopped: silence and stones. The walker not informed will make a short halt, close to the fountain leaving a large masonry, and then will continue his advance. We will look at there what is hidden. It is the consequent farm in the middle of the hamlet that is probably oldest. An E source is collected inside and arises in a "bachat" outside. In addition to this extremely useful and practical curiosity, several details deserve our attention. The frontage side way is decorated several profiled openings of Gothic style. On the table of window one distinguishes a strange sculpture. It resembles a vaguely square stone on which a figure at five sides is detached, a pentagram. At the interior three forms: - "the axis" of this scene is consisted an at the same time anthropomorphic and cruciform silhouette. - Under the two arms of this "crucifixion" two smaller beings balance the unit. – On the right-hand side, knelt, in begging attitude or of prayer, hands and arms tended concerning this believe anthropoid; the full feature of its clothing could want to symbolize a woman - the character on the left, hands on the hips, the "sufficient" air, does not touch the cross. The features which surround its back indisputably draw... wings of angel. But the most curious is still inside the building. Once inside is, hardly within two meters, are the walls of another extremely old construction. As a kind of case or cocoon whose only mission would be to defy the time and the sight of the passer by. In south-west in this second wall there’s an opening of walled door. The framing of the latter, of a very pure Gothic style is obviously of the time. The base of the moldings starts strange drawings: complete triangles or truncated at the tops, then segments of curves superimposed. Summon framing of opening finishes on a potencée cross... eccentric openly from 7 to 8 degrees. With the lower part is what one could, first of all, to take for a flower of lily stylized is in truth... an iron of spade "GARDIAN", such as one can see it on the emblem of the Camargue! This vault, in form of small barn of Pilat is however dedicated to Sainte Marie Madeleine! At the interior a simple table is the only ornament: it is a new traditional representation of Marie-Madeleine, but I was seized by the resemblance to the low-relief of Rennes-le-Chateau! In the 10th century the family of Falatier takes possession of the fields of Lupé. At this time Malleval and Lupé are under the same authority. It is at that time which the castle takes the base form that we know to it. Certain writings, of which those of G.M. of Waldan, reports that the turns of this castle with the turrets of the secondary enclosure would have been established according to the projection of Large Ourse... with for principal axis the Polar one! It should be added that the plan of the body seigneurial is appeared as a polygon at 7 sides! - End of the year 1274, the Pope, the King of France, the Archbishop of Lyon and the Bishop of Vienna remain simultaneously in Lupé... It is not known why, but this kind of meeting was to require a solid intendance, and especially extremely capital reasons to proceed in this small and unimportant castle to withdraw from all. - Guigue de Falatier and its sons form part of the last wave of reinforcements sent on royal order to the cross last cut off in St Jean d' Acre... Under the orders of Guillaume of Roussillon, the husband of Béatrix founder of Ste Cross. Seul Guigue will return from this suicidal disaster. Let us note in the passing that the mission of this ultimate forwarding was to put itself under the authority of the Knights of the Temple... "to save essence what can". Was we still do not know what composed this "essence"? Alliance with the house of Arques - Then the field of Lupé passes, by alliance in Gaste. a very curious fact, under this family, deserves that one stops there. We are at one time when the fall of the Temple is consumed. However one can consult an attesting document of a transaction, last in Puy in Velay, between Guillaume de Gaste and Templier de Marlhette (it only house of the Temple in Pilat). Then there is double alliance between of Gaste and of Merry; 1) Anne de Gaste marries François de Joyeuse. 2) Claude de Gaste (his brother) wife Francoise de Joyeuse, aunt of the cardinal of Merry. This double alliance could be completely ordinary if we do not remember that the Merry one were lord of Arch... Then why in more one double alliance on the brother and the sister of Gaste with the lords of Arques... whose fields are distant of more than 450 km... and without any apparent chance to form an extension of territory or another alliance of reason... with less, it is obvious, which there is not an imperative reason and pressing. And this had to be the case, but what it reason? The enigma of Urfe - union of Claude de Gaste and Francoise de Joyeuse will be born four children. One of them, Marguerite de Gaste, will be sung by Anne d'Urfé... who was madly enthusiast. Urfé? But which is? Urfé still owe their name with the drift of Ulfe and Wulff... of the wolf, but Germanic this time! Olympe girl of Lupeandre... identified in Marguerite de Gastes Lupé! He is certain with the reading of Astrée and the sight of the symbols of the castle of Urfé which we cannot deny the high degree of initiation of the families of Urfé and those which attended these places. - December 19, 1598, Catherine de Meuillon, injury of Lupé, marries Rostaing of the Balsam Count de Suze. It is it which will negotiate with Polycarpe of the River, Chartreux prior in place with Ste Cross-in-Jarez, for the repurchase at ransom price of "Lacombe Stronghold". In truth on this place, a mine shaft would have been open to extract some from lead... by highly qualified workmen come expressly from Germany! These facts are confirmed by charged Blumenstein, on royal order, to estimate the mines cartusiennes in 1741. This mining expert worked at the same time for Urfé. The mine of "Lacombe Stronghold" was called "Hole of the Wolf"! To follow We will return in a forthcoming work on other aspect of the castle of Lupé as on the strange Mgr Mayol de Lupé which seems he was sympathizer of a movement Cetique and Solaire... like on Charlemagne Division, his symbols, his waitings and his work at the very least strange. It will be the same for an approach of events related to a group of resistant French, to this same time based in the N°13 farm of chartreuse of St Cross... Perhaps all these strange axes form a beam of convergence dependent on the enigma of Rennes-le-Chateau and good dautres mysteries which we will approach soon while trying to give them a new lighting.